Williston, incorporated in 1763, has a population of 9,000 today. It is located just 8 miles southeast of Burlington and is included in Chittenden County. There are two schools in the community; Allen Brook School and Williston Central School. High School students attend Champlain Valley Union High School in Hinesburg as part of the Union School District. Williston Parks and Recreation care for 6 parks, 2 conservation areas, Allen Brook Nature Trail, and Lake Iroquois Recreation Area that offers sand volleyball, swimming, and hiking along the lake. 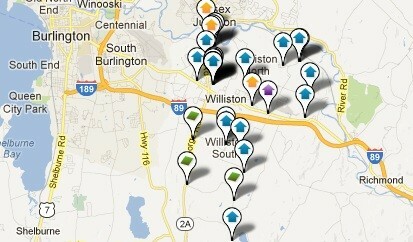 Search all Williston VT homes for sale and Williston VT real estate by bedrooms, price, square feet, and baths.